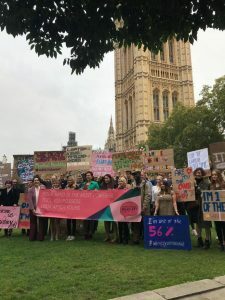 Less than a year into her job as a Communications Executive at Bauer Media, only three years out of university, Sian Collins found herself at Downing Street. 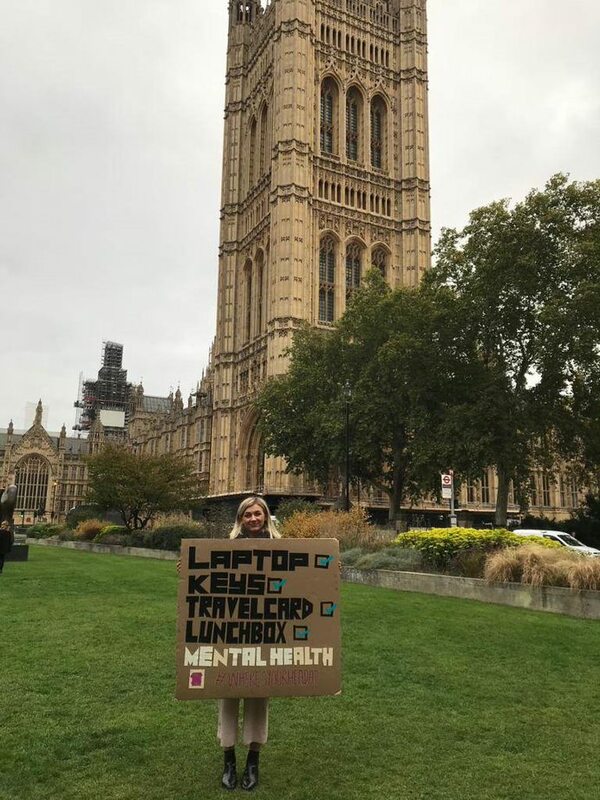 Alongside her fellow #WheresYourHeadAt campaigners, Sian delivered 197K signatures to Parliament, calling on equal workplace support for mental and physical health. Hailing from Northern Ireland, Sian originally wanted to study psychology, before allowing her passion for reading (and reluctance to pursue science) to guide her to English Literature. Although she’d never visited the University of Glasgow before the day she moved in, Sian had been guided by its good reputation. During her studies, Sian managed to balance several extracurricular activities and waitressing to pay the bills, and still obtain a First-Class degree. Forever proactive, Sian applied to Teach First UK a year and a half before graduating. Teach First UK is a two-year leadership programme that combines teacher training with educational outreach into the poorest parts of the country. But, halfway into the programme, Sian had to admit that teaching was not her calling. “I have such respect for teachers who put their blood, sweat, and tears into [teaching], but It was very challenging. I had such high hopes and then I felt like a bit of a failure. I was so invested in the children; I didn’t want to let them down. Sian continued completing her qualification while researching alternative career options. Her thorough research led to acceptance into – Ambitious Futures: a higher education management scheme available across the UK, including her beloved alma matter. Sian supported both the Universities of Glasgow and of Dundee, expanding her natural talents and developing her managerial, organizational, and analytical skills through work in Business Intelligence (e.g. data analysis), Researcher Development (e.g. knowledge exchange and wellness activities), and, her new passion, Communications & Public Relations. At the close of the 15-month programme, Sian had to decide on her next career move. Sian discovered that her Literature degree, combined with her diverse professional experience, made her a competitive candidate for employment and she was hired as a Communications Executive for Bauer Media, Europe’s largest privately-owned media group. Whether she’s coordinating celebrity guests, supporting social initiatives, like #WheresYourHeadAt, and strategizing ways to generate revenue for major clients, every day Sian works to help develop organizational and brand narrative. Although life did not go to plan, it seems to have gone even better, another example of the enchanting “inexhaustible variety of life” available to Arts Graduates and Scott Fitzgerald characters alike.